What is a Patent Attorney? How do you become an Australian patent attorney? What does a patent attorney’s work include? What are the characteristics of a good patent attorney? A number of our senior patent attorneys and trade mark attorneys will be attending IP Conferences in 2018. The APAA conference in New Delhi in November 2018. If you are also attending any of these events and would like to meet one of our patent or trade mark attorneys, then please contact us. 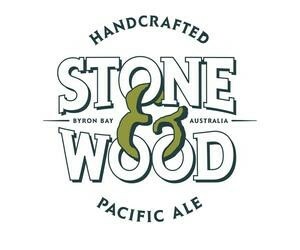 The Full Federal Court has dismissed an appeal by the Byron Bay craft brewery, Stone & Wood, in its dispute with Victorian craft brewery Elixir over use of the term “Pacific Ale” in Stone & Wood Group Pty Ltd v Intellectual Property Development Corporation Pty Ltd  FCAFC 29 (9 March 2018). Stone & Wood had failed at first instance to establish that Elixir’s use of the term amounted to passing off, misleading and deceptive conduct under the Australian Consumer Law or an infringement of its registered trade mark. They had also failed to defend a cross-claim by Elixir that Stone & Wood had made groundless threats to bring an action for trade mark infringement. Stone & Wood appealed against the orders dismissing its claims for passing off and under the Australian Consumer Law and also sought leave to appeal the primary judge’s orders on the groundless threats claim, although they did not appeal the decision on the trade mark infringement aspect of the case. In November 2010, Stone & Wood started selling its Stone & Wood Pacific Ale, having chosen the name ‘Pacific Ale’ because it reflects the place where the beer is brewed and they considered that the word ‘Pacific’ generates a “calming, cooling emotional response”. In about January 2015, Elixir launched a beer named ‘Pacific Ale’ under the Thunder Road brand (Thunder Road Pacific Ale), which they re-named ‘Pacific’, following letters of demand from Stone & Wood. At the time Thunder Road Pacific Ale was launched, the only beer named ‘Pacific Ale’ being sold in Australia was the Stone & Wood Pacific Ale (there were some other beers using ‘Pacific Ale’ or ‘Pacific’ but most were produced and sold after Stone & Wood introduced its Pacific Ale to the market). At first instance, Stone & Wood argued that Elixir’s use of the names ‘Pacific Ale’ and ‘Pacific’ would lead consumers to order or buy the Thunder Road beer when they intended to order or buy Stone & Wood Pacific Ale and/or that Elixir falsely represented to consumers that the Thunder Road beer was promoted, distributed and/or sold with the licence or authority of Stone & Wood, or that that there was a connection with Stone & Wood Pacific Ale. The primary judge noted that “at the time the Thunder Road Pacific Ale was launched, Elixir was aware that Stone & Wood were producing a beer called ‘Pacific Ale’; knew there were a lot of consumers who, when they saw the name Stone & Wood, would think of Stone & Wood Pacific Ale; knew that the name ‘Pacific Ale’ had come to be very closely associated with Stone & Wood in Australia; and knew that Stone & Wood Pacific Ale had a good reputation in the craft beer market”. His Honour also noted that in choosing the name ‘Pacific Ale’, Elixir was to some extent seeking to take advantage of the success of the product of that name in the Stone & Wood range but he did not believe that they intended to obtain an advantage by consumers thinking the Thunder Road product was Stone & Wood Pacific Ale or that there was an association between Thunder Road and Stone & Wood or its product. His Honour ultimately dismissed Stone & Wood’s claims, after considering a range of relevant factors including the dominant Stone & Wood brand name, the differences in packaging and colour used, the “overall look and feel” of the products, the context in which the goods would be bought and the descriptive aspect of the word “Pacific”. To add to Stone & Wood’s woes, Elixir successfully cross-claimed under s 129 of the Trade Marks Act, alleging that Stone & Wood had made groundless threats to bring an action for trade mark infringement. As the infringement claim failed, the key issue was whether Stone & Wood had made out the defence under s 129(5), i.e., had they pursued an action for infringement with due diligence? His Honour noted that they had not commenced the action for infringement when they initially commenced proceedings but only sought leave to add this claim a month later, after Elixir had cross-claimed for groundless threats, and that no satisfactory reason for this delay had been given by Stone & Wood. As such, Stone & Wood had not acted with due diligence. Stone & Wood did not appeal the trade mark infringement aspect of the decision but reformulated the passing off and Australian Consumer Law claims on appeal (without change of substance). Their case was that “Elixir falsely represented that there was an association or connection between Thunder Road’s Pacific Ale/Pacific beer and Stone & Wood’s Pacific Ale beer, or between Thunder Road’s Pacific Ale/Pacific beer and Stone & Wood, or between Thunder Road and Stone & Wood”. 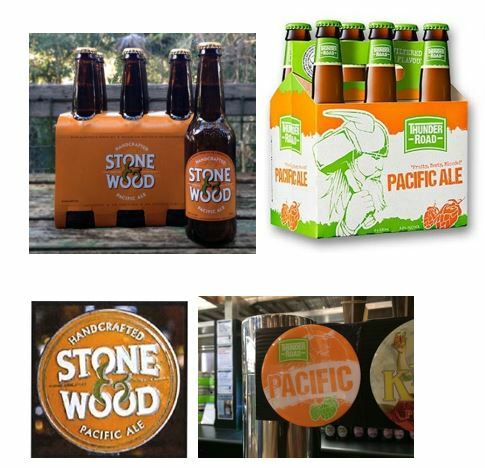 However, the full court upheld all of the primary judge’s reasons and dismissed the appeal, finding that Stone & Wood’s reputation was in ‘Stone & Wood Pacific Ale’ not ‘Pacific Ale’ alone and that Elixir had not represented any association between the beers. Stone & Wood’s application for leave to appeal in relation to the groundless threats aspect of the decision was also dismissed, with the full court finding that Stone & Wood had presented no argument that demonstrated error on the part of the primary judge and that they did not provide a proper explanation for the delay. Stone & Wood’s plight highlights how pioneers in a market can become the victim of their own success and the importance of early brand protection. Stone & Wood could potentially have had a much stronger case against Elixir if they owned a trade mark registration for PACIFIC ALE on its own. Elixir is clearly also aware of this and has been attempting to thwart Stone & Wood’s attempts to register that mark. 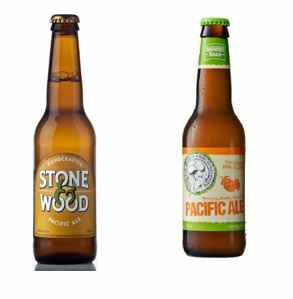 That battle still looms large with Elixir having lost its opposition to Stone & Wood’s registration of the PACIFIC ALE mark before the Trade Marks Office and having appealed that decision to the Federal Court. A recent Federal Court decision in Shape Shopfitters Pty Ltd v Shape Australia Pty Ltd (No 3)  FCA 865 illustrates the importance of obtaining adequate protection at the beginning of the trade mark registration process. 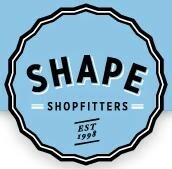 In this decision, Shape Shopfitters (the Applicant) had registered the following composite mark, containing the words SHAPE SHOPFITTERS EST 1998 set within an uneven “bottle cap” border in respect of its shopfitting and other construction services. The Court held that these two marks were not deceptively similar to the registered mark, despite there being some clear similarities between them. In reaching this conclusion, Mortimer J considered that people will recall the entire phrase SHAPE SHOPFITTERS in the registered mark (not just the word SHAPE), due to the alliterative effect of these two words and the positioning of the word SHOPFITTERS underneath the word SHAPE. She also considered that the bottle cap border in the registered mark would stick in a person’s memory and help to distinguish it from the other SHAPE marks. As a result, her Honour did not consider that “the reasonable industry participant of ordinary intelligence and memory would be caused to wonder whether the respondent’s services, and the business it markets and promotes, come from the same source as that of the applicant”. The Court also declined to decide on whether the fact that the Applicant filed for its mark with a blue background limited its rights to a blue version of the mark, when the Applicant had never entered a written endorsement on the Register limiting the mark to any particular colour. The Court in that decision noted that when a mark comprises a combination of a word or words together with a logo then the words in that mark should not necessarily be considered as an “essential feature” of that mark when comparing it with another mark. These decisions starkly show that although registering a mark that contains a combination of features may protect that mark as a whole, it will not necessarily protect the individual features separately. Therefore, it is sometimes necessary to file multiple trade mark applications to adequately protect each individual element in a particular mark. Care also needs to be taken to avoid making any inadvertent colour limitations when filing an application to register a logo. Obtaining inadequate trade mark protection can be a costly mistake for a business if it leaves them unable to prevent the use of similar marks by competitors. Professional assistance should always be sought to avoid these and other pitfalls in protecting and enforcing a business’ trade marks. Businesses often use metatags in the source code of their website to improve their search rankings in Google and other search engines. Sometimes this may involve using a competitor’s trade mark as a metatag within that source code. In Accor Australia & New Zealand Hospitality Pty Ltd v Liv Pty Ltd  FCAFC 56, the Full Federal Court held that Liv Pty Ltd (“Liv”) had infringed registered trade marks HARBOUR LIGHTS and CAIRNS HARBOUR LIGHTS by using the words “Harbour Lights” as a metatag in the source code for Liv’s website. The Court held that the use of the words “Harbour Lights Apartments” in the source code was “effectively, use as a business name for a business which offers accommodation for letting and short term rental, thus operating as a badge of origin to distinguish Liv’s services from others” and this conduct infringed the registered trade marks which were protected for relevant accommodation letting services. In Australia, it was previously considered that the use of a registered trade mark in a metatag, which is invisible to the ordinary Internet user, would not indicate trade origin and thus would not amount to trade mark use or trade mark infringement. However, this recent decision has changed the landscape. Following this decision, businesses should avoid using the trade marks of other parties, without permission, in the source code of their websites. To do so may expose them to an action for trade mark infringement, even if the source code is put there by a third party such as a website developer. In Clipsal Australia Pty Ltd v Clipso Electrical Pty Ltd (No 3)  FCA 60, the owner of the well known mark CLIPSAL objected to CLIPSO’S use and registration of the similar mark CLIPSO. The CLIPSO trade mark had been successfully registered but it was ultimately found that the director of the respondent was aware of the market leader’s well known trade mark CLIPSAL when he registered the mark, and that he intended to trade off the reputation of the CLIPSAL mark in order to sell his own products. The CLIPSO trade mark registration was therefore cancelled, and the use of the mark was held to constitute misleading or deceptive conduct under the provisions of the Australian Consumer Law, and to constitute passing off. Clipsal established that it was the clear market leader in relation to light switches and power points, and its CLIPSAL trade mark was well known in relation to these goods after extensive and long-standing use of the trade mark in Australia which dated back to 1920. Clipsal had also registered the CLIPSAL trade mark in relation to all goods in Class 9 in 1989. There were two respondents in this case, Clipso and its director, Mr. Abdul Kader. In 2008, Mr Abdul Kader founded Clipso, registered the trade mark CLIPSO in relation to a range of electrical goods in Class 9, and subsequently began use of the CLIPSO trade mark in relation to electrical accessories including switches and sockets at around the end of 2008.
infringement of its trade mark registrations for CLIPSAL and the “dolly switch” shape mark. In its defence, Clipso contended the persons in the market in which the CLIPSO and CLIPSAL branded products are sold would not be misled or deceived by use of the CLIPSO trade mark. Clipso argued that this was because the people in the market are professionals, such as electrical contractors or electrical wholesalers, rather than end-consumers, who are not professionals and more likely to be misled. They argued that because of the level of exposure which electrical contractors and wholesalers had to the market leader’s trade mark CLIPSAL, this mark was so well known to them that they would not be misled or deceived by Clipso’s use of its CLIPSO trade mark. Perram J rejected Clipso’s argument in relation to the relevant consumers and held that, “the relevant class of consumer consists not only of industry participants, but also of a small group of end-consumers who actually buy switches and sockets for themselves, and another not insignificant group who dictate or otherwise influence the purchasing activities of the electrical contractors, architects and builders etc. engaged on their behalf.” As a result, the relevant market in which the trade marks were used was found to be broader than only professional contractors and wholesalers. His Honour determined that, due to the similarity between the CLIPSO trade mark and the CLIPSAL mark, ordinary and reasonable consumers would consider that there was a connexion between the respective businesses. It was therefore held that the use of the CLIPSO trade mark in the relevant market was misleading or deceptive. It was also held that Clipso had engaged in passing off by adopting a similar mark to CLIPSAL which would result in confusion by members of the public, and Clipsal would suffer loss or damage as a consequence of that confusion. The application for the CLIPSO mark was made in bad faith on the basis that “Mr Abdul Kader registered the CLIPSO mark fully aware of the existence of the CLIPSAL mark, and intending to trade off its reputation in order to sell the first respondent’s (Clipso) similar goods”. In its defence to Clipsal’s claim that the use of the CLIPSO trade mark infringed the CLIPSAL registration, Clipso argued that the way in which it was actually using the CLIPSO mark in a different logo to that of the CLIPSAL mark meant that use of the mark was not misleading to consumers. Clipso also argued that the CLIPSAL mark was so famous that no person in the market could be deceived by use of the CLIPSO mark. However, both of these arguments were rejected by the Court in holding that the use of CLIPSO infringed the registered CLIPSAL mark. Interestingly, until the CLIPSO mark was actually cancelled from the Register, Clipso could use the defence to infringement available under section 122(1)(e) which provides that a person does not infringe a registered mark if “the person exercises a right to use a trade mark given to a person under this Act”. However, now that the registration is cancelled, any future use of the CLIPSO mark will infringe the CLIPSAL trade mark registration. Clipsal also claimed that Clipso infringed its registered shape mark for a “dolly switch” (an electrical switch). However, Clipsal was not successful in this claim because it was held that Clipso did not use their dolly switch as a trade mark in relation to their products, and Clipsal did not have a reputation in relation to the dolly switch shape trade mark in identifying its products. Care should always be taken when choosing a trade mark to ensure that it is a sufficiently original choice and that it does not too closely resemble any marks already in the same market. Registering a trade mark will provide a defence to infringement of other registered marks in most cases, but this defence could ultimately fail if it is found that you should never have been allowed to register the mark in the first place (for example, if you chose a mark that was too similar to a competitor’s well known mark). It is also important to note that a trade mark registration does not provide any defence to actions for misleading and deceptive conduct or passing off. Obtaining professional advice when selecting a new trade mark will assist in avoiding any such problems down the track. The Australian Trade Marks Act allows for the registration of non-traditional trade marks, such as shape marks, although the path to registration is not always smooth for the owners of such marks. A recent Australian Trade Marks Office decision highlights the challenges that can be faced in registering a shape trade mark, if the Trade Marks Office takes the view that the shape is at all functional. The Applicant applied to register the shape mark represented below in respect of its bore hole plugs, with the mark described as follows on the application form: “The Trade Mark consists of the shape of a three-dimensional design, comprised of a solid circular and grooved cylindrical base, a tapered shaft with 3 indentations, topped by a tapered circular cup, as displayed in the drawings accompanying the application as shown in the representation(s) attached to the application form” (the Claimed Mark). During examination of the application, the Trade Marks Office objected to the trade mark on the strictest registrability ground possible, on the basis that the shape mark lacked any distinctiveness and that other traders should be able to use such a shape in connection with their own plugs. Evidence of use of the Claimed Mark filed by the trade mark Applicant did not overcome the objection and the Applicant requested a hearing. It is accepted practice that shapes that are functional are unlikely to be capable of distinguishing the designated goods. However, in this case, the Applicant submitted that the Claimed Mark does not contribute any engineering advantage to the goods, that it is unique, that it incorporates various aesthetic features (the skirt of the cup, a solid and grooved cylindrical base, a tapered shaft with indentations, etc.) and thus that it is not functional. To support this argument, the Applicant provided about twenty examples of other traders’ bore hole plugs of varying shapes and also pointed out that certain features of the Claimed Mark (such as the grooves on the base and tapered cup) could be replaced by any other pattern without affecting the functionality of the Claimed Shape. The Applicant also filed a seemingly extensive range of evidence showing that it had been using the Claimed Mark since 1972. Despite the Applicant’s submissions as to the distinctiveness of the Claimed Mark and its evidence demonstrating that it had been using the Claimed Mark in Australia in relation to the designated goods for over 40 years, the delegate rejected the application, finding that the Claimed Mark is not distinctive and that the evidence did not establish that it had been used as a trade mark (i.e., as a badge of origin). The fact that there are different shapes available to other traders does not, of itself, mean that the Claimed Mark is registrable. The question is whether the Claimed Mark, or something so nearly resembling it, is one which other traders are likely to desire to use in the ordinary course of their business without improper motive. Each of the elements referenced in the endorsement carries out a function (for example, the solid circular base enables the plug to stand upright and the grooves on the cylindrical base assist it to wedge in place). Other traders are likely to desire to use the Claimed Mark because of this functionality. Even if some or all of the features are aesthetic, they are not so remarkable as to render the Claimed Mark, as a whole, capable of distinguishing the designated goods. One of the features of the Claimed Mark, which the Applicant argued was aesthetic, is not mentioned in the endorsement for the application and as such is not a part of the Claimed Mark. It is not clear to what extent this made any difference to the delegate’s decision in this case but it does highlight the importance of getting things right at the time of filing. The evidence of the two supporting declarants attesting to associating the features of the Claimed Mark with the Applicant was not considered, on its own, to demonstrate that the Claimed Mark did act as a badge of origin. The Applicant also needed to show that this association in the minds of the declarants had arisen because the Claimed Mark has been used as a trade mark. The examples of use of the Claimed Mark merely showed it used to illustrate or represent the designated goods, rather than as a badge of origin in its own right. The evidence did not show that the Claimed Mark has been promoted as something apart from the goods, or that there had been any deliberate intent by the Applicant to educate the public as to the trade mark significance of the Claimed Mark. The promotional materials showed the Claimed Mark in close proximity to other (word/logo) marks and it was these marks which actually acted as the badge of origin for the goods. As the Claimed Mark appeared alongside other marks in the evidence, the revenue figures could not be taken as being solely attributable to the Claimed Mark. The decision has been appealed to the Federal Court, so further guidance for shape mark applicants may follow. In the meantime, we note that the Trade Marks Office continues to take a strict approach to shape trade marks where there is a suggestion that the shape has any functionality. Although not all shape marks encounter objections during examination, various issues may need to be considered with these non-traditional marks (from assessing whether the mark is registrable in the first place, deciding which features to claim and describing the mark correctly at the time of filing, to being able to demonstrate that a shape mark has properly been used as a trade mark). 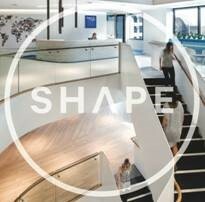 Please contact us for advice if you are interested in registering a shape mark. Welcome to the Cotters Trade Mark RoundUp, an overview of decisions of the Australian Trade Marks Office. The first RoundUp for 2011 covers S.52 opposition decisions from the end of 2010 (the most recent available).